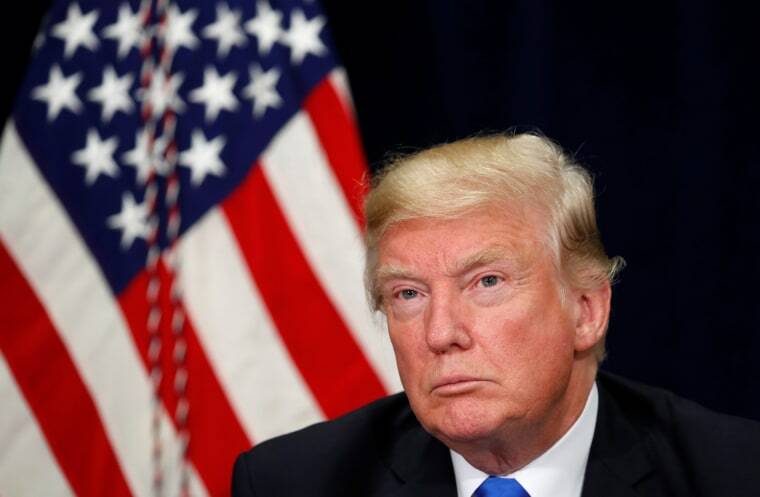 President Donald Trump expressed his feelings about Obamacare, Hillary Clinton, Democrats, the Fusion GPS dossier, tax cuts and most notably the Mueller investigation in a wide-ranging Sunday morning tweet storm. Trump, who has been in office for more than nine months, said that if Obamacare premiums go up it is the fault of Democrats — but he then claimed that the Affordable Care Act would be repealed and replaced after Republicans passed tax reform. The Republican-controlled Congress and the president have twice failed to repeal and replace the ACA, yet Trump has previously claimed it was "virtually dead" — and falsely added that "there's no such thing as Obamacare anymore." Continuing with his tweets, the president resurfaced his views on the controversial dossier about Trump and Russia written by former British intelligence officer Christopher Steele for Fusion GPS, a research strategy intelligence firm. The president said that Republicans were angry and united over the "lack of investigation on Clinton made Fake Dossier (now $12,000,000? ), the Uranium to Russia deal, the 33,000 plus deleted Emails, the Comey fix and so much more." A law firm that represented the Hillary Clinton campaign and the Democratic National Committee helped to fund the research for the dossier, a source confirmed to NBC News on Tuesday. The New York Times reported on Friday that the dossier was first funded by major Republican donor Paul Singer via the Washington Free Beacon, a conservative website. Singer continued to subsidize the dossier until Trump seemingly clinched the Republican nomination in May 2016, and Democrats took over thereafter. And in an almost-Halloween-themed tweet, Trump claimed that the investigation only focused on collusion allegations between Trump and Russia because Democrats were using "this terrible (and bad for our country) Witch Hunt for evil politics." "There is so much GUILT by Democrats/Clinton," Trump alleged, "and now the facts are pouring out. DO SOMETHING!" The president then seemed to allege that the timing surrounding the discussions over the Russia investigation, which began prior to Robert Mueller's appointment as special counsel in May, were some kind of conspiracy to disrupt the GOP's push for tax reform. "Is this coincidental? NOT!" Trump concluded. Meanwhile, Trump's White House lawyer Ty Cobb said that the president's Sunday morning tweets had nothing to do with the Russia investigation. “His tweets today are not, as some have asked, a reaction to anything involving the Special Counsel with whom the White House continues to cooperate,” Cobb told NBC News' Kelly O'Donnell.